First off, what I LOVE the most about her books is that she writes like she is talking with you. Her writing is very conversational, and not all stuffy, formal academic stuff, which I really enjoy. (I know I am an educator and am suppose to be all “academic like”, but who wants that ALL the time – there is a time & a place.) Her new book is very easy to read and I feel like I am getting some sound advice from an old friend, which I really appreciate. Your Next Shift really does aim to kick your nursing career into high gear – whether in the role you are currently residing, or if you are looking to move into another role. I really appreciate her candor in the beginning chapters that she is not calling all nurses to leave the bedside, but in fact, trying to help them feel empowered in their careers so they can better care for the patients we serve. I believe there is a current trend afoot for nurses trying to flee the bedside, mostly because they are not supported and don’t feel fulfilled in their roles any longer. Your Next Shift really gives you practical tangible advice on how to really find that fulfillment again. Another aspect I really appreciated from Your Next Shift was the the self reflection exercises she had for you to really tangibly jump in and start kicking your nursing career into high gear. These are not some surface questions to just give you pause – they are meaty, get to the root of the issue exercises. For example, she challenges you to write down a clear vision of what your future nursing career would look like and then name one step to make it happen. No beating round the bush there – a call to action and I like that! But Elizabeth doesn’t just leave you there, after walking you through practical applications for your nursing career, she gives you a glimpse into her world. What does this actually look like? How does she implement these principles and practices in her daily life? I like examples and her book is loaded with practical examples of how to implement some life and career changing principles. Overall, I really enjoyed Your Next Shift and found it to be very insightful and got me thinking about some habits and thoughts in my life. Although she takes an approach I may not normally subscribe, I found all of her thoughts and perspectives helpful and plan to really consider implementing them in my practice. So, if you have been working for awhile and feel a little stalled out, I would highly suggest Your Next Shift. And even if you don’t find yourself in that place, this book can certainly give you some tools to prevent it! It was a very easy read, however, FULL of very helpful information and practical action steps. But be ready to take action, once you read it, you will feel inspired to kick your nursing career into high gear!! 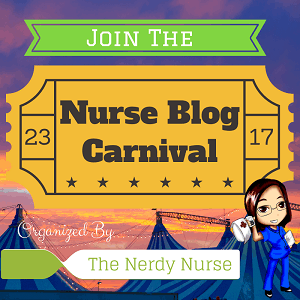 Fun Stuff, Learning Tools, Student Nurses book review, Continuing Education, healthcare, Nurses, Nursing, Nursing students. permalink.